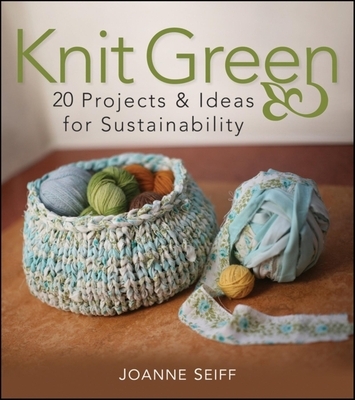 Knit Green offers tons of information and ideas on everything you need to be a more environmentally conscious knitter. From sourcing materials locally and using organic products, to supporting fair work and fair trade programs, Knit Green is a tremendous source of information to help you tailor your craft to your convictions. Fashion-forward knitting and easy-to-digest essays come together to help you ""green-up"" your hobby and easily implement suggestions and strategies for sustainability in the context of knitting. You'll get a full exploration of green avenues and product options, including organically -farmed fibers, non-animal yarns, alternative or recycled fibers and yarns, fair work and fair trade companies and programs, buying local, sustainable farming and energy in yarn production, and more. Plus, you'll find more than 20 fashionable patterns that don't sacrifice style for sustainability.